Good grief, it’s been a long time. My apologies, I’ve had this draft sitting in here and then I never got around to it. So I’m going to post this during my lunch break. 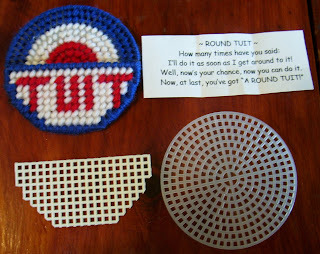 Closest Knitted Round Tuit I could find. You’d think there’d be a slew of knitted bad puns. I’ve been doing it sporadically as of late and I miss it. 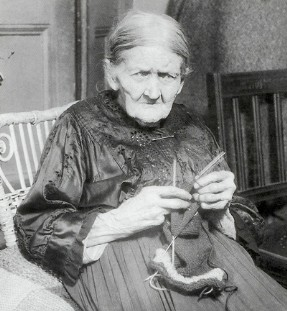 I started a new job and I love my new job, but that means I don’t get much time for knitting. The commute is fine, but since it’s on the subway, I am petrified of losing my knitting needles. But I digress, last week, I was working on one of my Totoros and the tension was particularly tight, so I thought I could push it through with my fingernail. This lack of foresight probably lead to the extinction of morons like me back in the day. 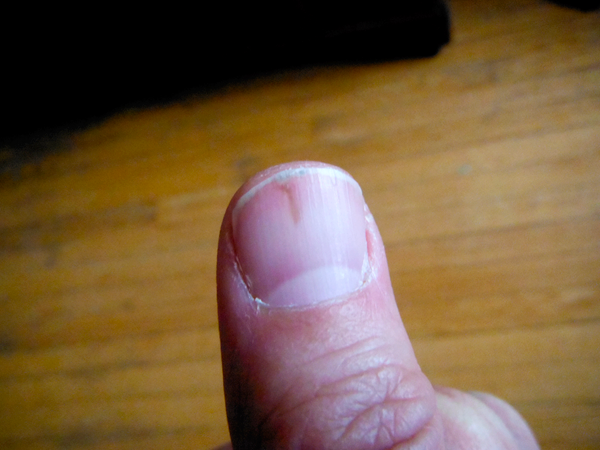 As a result, I pushed my little 2.00 mm DPNs underneath my FINGERNAIL. AAAUGGHHHHH!! It was awful. And did I have to play the piano next day? Yes. It almost goes halfway down the nail!!! AAAAUGGHHH!! They should put safety warnings on these things. HUZZAH! Can you believe that? 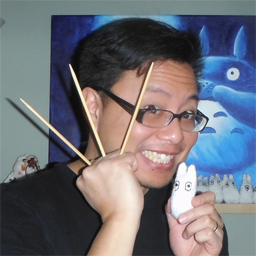 I don’t know if I mentioned, but I worked on a Totoro to fit around my shaker eggs! I’ve been shakin’ the thing at anyone I can (very few instances where you can do that and not get arrested) and someone wanted me to make them one! Good grief! Below, you can see “My Shaker Totoro” in action with the Debs & Errol song, “I Wish Totoro Was My Neighbour“. Ok, I knew I should have written a blog a few days ago. February starts February Album Writing Month where you write 14 songs in 28 days. So that means there is a lot of commenting in forums and no knitting. Sometimes I write a song. I’m kinda social when I do these things. In fact I started up a knitting thread in the forum. All these people knit! Isn’t that awesome? I finished a new project this past Saturday. 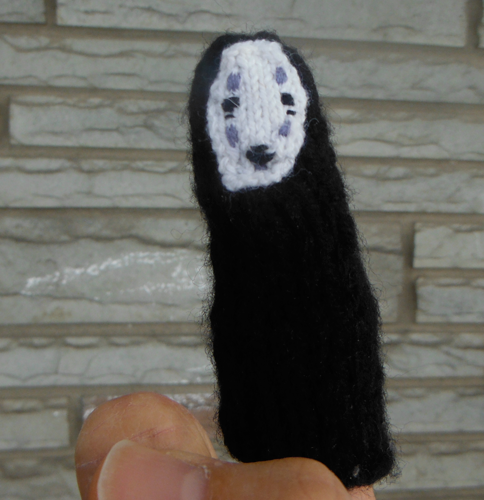 Back on January 18th, my daughter mistook my Yakko Finger Puppet for No Face. I thought that was a brilliant idea and it was also very simple! It’s still wonky and I want to fix it a bit before making a pattern, but I’m pleased with it. I messed up the mouth and shape of the face. Must fix that. As you may know, I am a creative. What does that mean? I have no money. And knitting doesn’t sound like a hobby that should be the cause of financial ruin. 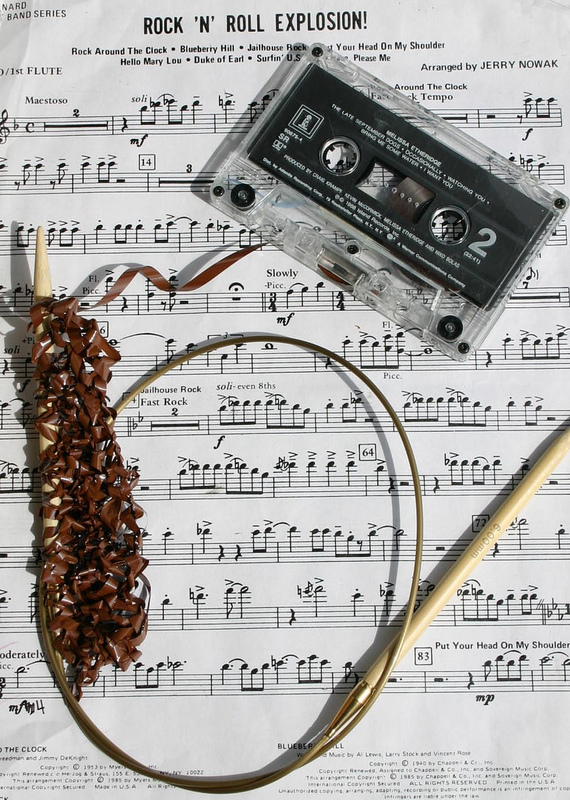 It’s string and sticks!! How expensive can that be? But the more I knit, the more I realize I need STUFF! I need all sorts of stuff! 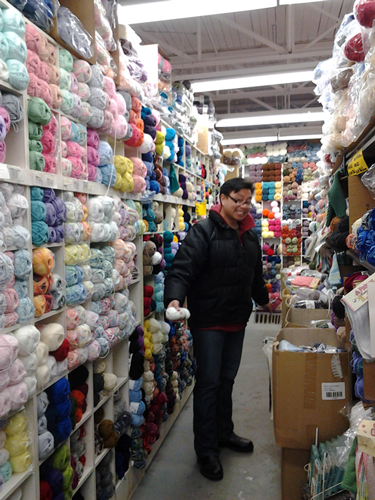 And before you know it, I find myself at another knitting store. How many knitting stores are there in Toronto? I shall visit them all. Mini Chibi Totoros! 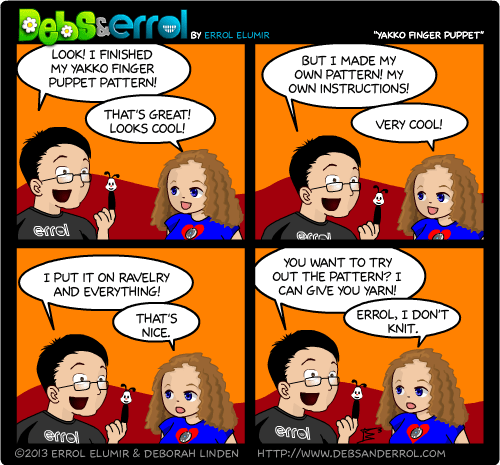 Useless Knitting Adventures! 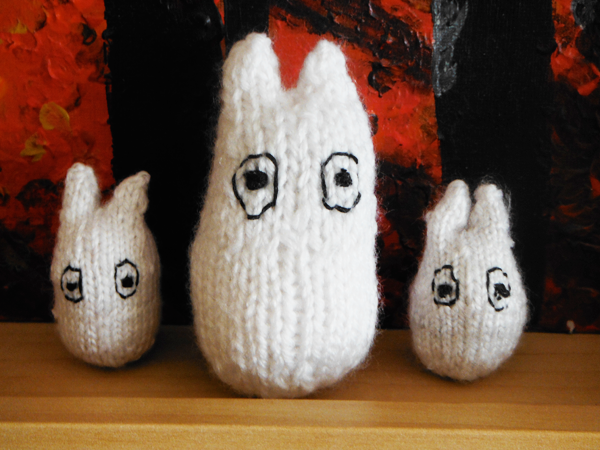 Totoro #10 was made with some very thin yarn. The needles I used were larger, around a 4mm. So I decided to try 2mm and made Totoro #12 and #13! Look how small and cute they are! My daughters started squeeing when they saw them and now they have put orders in for a glowing totoro, a mini totoro, and the regular sized Totoro. Do those kids do anything for me? Do they make me coffee? Do they cook me bacon? NO! I don’t know why I listen to their demands. You know, I want to do the Grey Totoro but I keep getting distracted by this pattern. It’s fun and easy to do! However, knitting on small DPNs is HARD!